Congress Rjayasabha MP KVP Rama Chandra Rao has put up a Private Member Bill in Rajyasabha, on Andhra Pradesh’s Special Status and other promises made in the bifurcation act. The discussion on this has happened last week. The voting has been postponed as there is no quorum in the Rajyasabha. KVP Rama Chandra Rao has written letter to Chief Minister Chandrababu Naidu to support for the bill. Now this is going to come up again on May 13th and everybody in Rajyasabha has to vote. 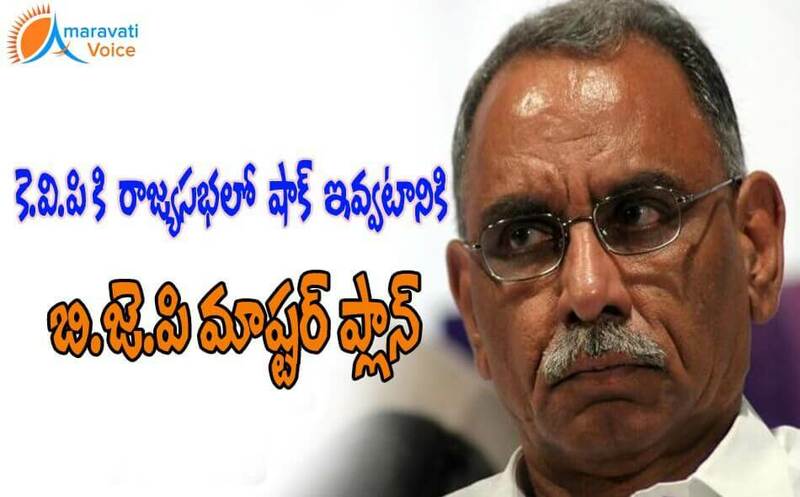 Telgudesam Party, though an ally of NDA has decided to support KVP Private bill and vote for the bill. "As this is the burning issue in the state, it would send wrong signals to the public. Though KVP is from congress, we are going to vote for the bill" said a senior Telugudesam Leader. Also Congress Party have majority in Rajyasabha. Now if TDP supports the bill and if the bill is passed with TDP's vote, this will be a major blow to BJP, as TDP is its ally. This will have impact on the elections happening in various states. So, BJP is thinking of to bypass this voting on the bill and it is thinking of to conclude the Rajyasabha proceedings before May 13th. In this way, it can prolong this until next session, as the bill will be alive for voting. BJP is thinking that, by the next session things would be settled and they can come up with some compromise formula to cool down the public of Andhra Pradesh.